It has a section for your cell phone. 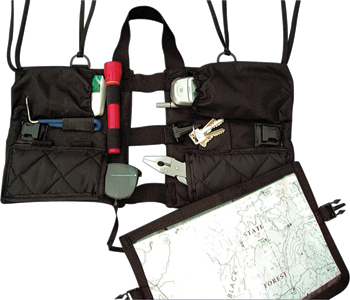 It has a double-sided, waterproof compartment with a window for your map., such as your cell phone or area map. It has two padded pockets for eyeglasses. It has elastic loops that can be used to carry a small flashlight, pepper spray, hoof pick or small tool.